Deciding to add a four-legged friend to your family is a big decision. Owning a dog is a significant commitment of time, money, and energy because you’re bringing a living animal into your home and committing to care for him or her. But the benefits outweigh the costs, as there are few things better in life than the companionship of a loyal and loving dog. There are a few things to keep in mind when planning to welcome a dog into your life. Getting a dog requires some careful thought and planning to ensure the best transition for you and for your new dog. This helpful guide will provide an overview of things you’ll need and things you’ll need to keep in mind when owning a dog. You first need to determine if you’re in a position to provide a caring, loving home for a dog. Consider whether you are ready to commit time and money to caring for a dog and, if so, think carefully about what sort of dog you want, and the best time of year to bring him or her home. Caring for a dog inevitably costs money. Keep in mind that you’ll need to regularly pay for food and annual vet care, plus other basic supplies (discussed at length below) and any unexpected vet expenses. You may also need to hire the services of a dog walker or sitter, groomer or trainer. If you aren’t willing or able to financially support a dog, then you probably shouldn’t bring one into your home just yet. In addition to money, caring for a dog takes time. You can’t just expect to bring a dog home and let him or her entertain themselves. Dogs need regular exercise and attention for the sake of their health and behavior. You’ll need to spend a little bit of time each day walking or playing with your dog; mental stimulation and physical exercise will help your dog stay healthy and happy and can help alleviate or avoid many behavioral problems that stem from boredom. What Breed Should You Get And Should You Buy Or Adopt? When you’ve decided that you are, in fact, able and willing to properly care for a dog, consider what kind of dog you would like. Adopting a dog from a rescue organisation or animal shelter is often preferable to buying — adopting a dog will give a home and second chance to a dog in need and will also create more space for shelters to save more dogs from poor situations. You may still want to buy a dog, but it is recommended that you do so from a highly reputable breeder, if so. Always do your research before you purchase any dog. Animal shelters and rescues usually house dogs of all different breeds, and mixes of different breeds. When considering what breed of dog you want, it’s okay to have preferences in terms of temperament, size, or age, but it’s a good idea to be open to adopting a “mutt” — a mix of various breeds — or a dog of a breed you previously hadn’t thought of before. Consider the time of year you plan to bring your dog home carefully. For example, if you’re travelling a lot in the summer on holiday, bringing a new dog home when you plan to be out of town is probably not an ideal situation. Likewise, try to avoid bringing home a new dog around Christmas time, as well. The activity and stress of holidays can make adding a dog to your home stressful for you and for the dog. Bring your new dog home when you can devote a great deal of attention to him or her, and when your home environment can be relatively structured and stress-free for your dog. 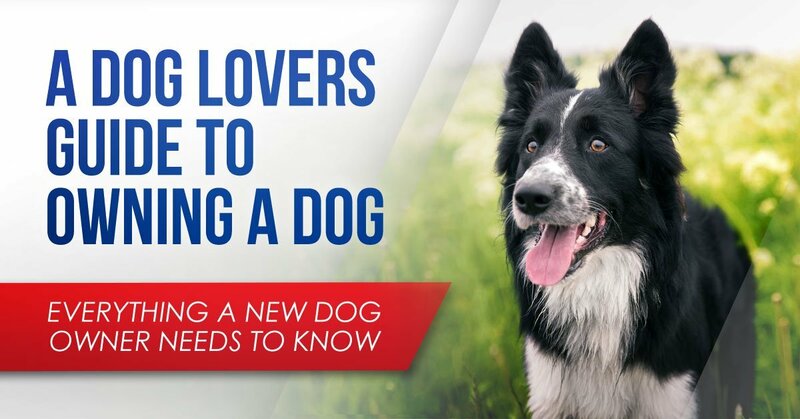 If you bring a dog into your home, you’ll want to make sure your house is ready to welcome a new four-legged family member. This requires a little bit of preparation and planning. Is Your Home Safe For A Dog? Consider whether your home is safe for a dog and generally pet-friendly. Avoid leaving items out that may be a temptation for a dog to chew on, especially if you’re getting a puppy. If you have houseplants, ensure that they are well out of reach of your dog or are non-toxic to animals. Dogs are very creative and crafty, so make sure your doors latch securely to avoid mishaps and to keep your dog from escaping. Is Your Home Big Enough For A Dog? You don’t have to own a huge house in order to get a dog, but you will need to ensure you have enough space for him or her to be comfortable and safe. If you live in an apartment, make sure you have a place to take your dog to go to the bathroom that is easily accessible and safe. Most dogs need some space to stretch their legs, as well, so be sure that your home is near a safe route where you can take your dog on walks or find a nearby dog park that you can commit to going to regularly. Do You Have Room For All Your Dogs ‘Stuff’? Also keep in mind that your dog will come with a significant amount of pet supplies that you’ll have to house in your living space somewhere. You’ll need to find a cool and dry place to store dog food, and a place to store any toys, crates, collars, and leads that you buy for your dog. These are usually easy adjustments to make with a little organisation and planning. A spare plastic container or small plastic bin will neatly hold plenty of dog food, and a spare cabinet can house other dog necessities like toys, collars, leashes, and brushes. Just like a person, a dog will require basic supplies to keep him or her happy and healthy. Being prepared to get a dog involves making sure you have the necessary supplies, as discussed below. A few essentials are definitely necessary if you’re going to get a dog. You’ll need at least one collar or harness and leash for taking your dog on walks. He or she will also need a bed, which you can find in many different varieties. This is an important part of making your dog feel safe and secure in his or her new home. Other supplies are not as necessary but can still give you peace of mind as a dog owner. A pet cam for inside your home can allow you to see what your dog is doing and check on him or her throughout the day when you aren’t home. You should plan to enlist the services of at least a few pet professionals in caring for your dog, as well. You may want to hire a pet sitter or dog walker if you’re going to be at work for long hours of the day or if you plan to take any trips. A trainer can help you work through any behavioral issues, and depending on the breed of dog you get, you may need a groomer to help you keep your dog’s coat healthy and beautiful. And, inevitably, you’ll need the services of a vet at least once a year to make sure your dog is up-to-date on the necessary shots he or she will need. You’ll also need to consider costs of vet visits at other times during the year, as it is possible that your dog may have unexpected health needs arise at inopportune times. These are all potential costs that should be factored in to your decision to get a dog, and these services can help you care for your dog in the best way possible. Adding a dog to your family is the best way to truly change your life for the better. While there is a high degree of responsibility that goes in to caring for an animal well, the payoff is more than worth it. As with any commitment, there are pros and cons to owning a dog. Owning a dog will cost you money, especially when it comes to regular food, vet care, and other necessities. It will also take a great deal of time as you will need to give your dog attention every single day. Dogs depend on their owners to care for them, so you will need to make your dog a priority even when it is difficult. But the pros outweigh the cons threefold. In getting a dog, you’ll be adding a wonderful companion to your family. A dog brings joy and unconditional love to a home unlike anything else. Adopting a dog takes time, money, and energy, but your dog will thank you by his or her love and loyalty. Are you a dog owner? Are you thinking of getting a dog?